It’s not news to legislators, or educators, or students. Education funding in Oklahoma is being cut back and will be reduced even more in the future. 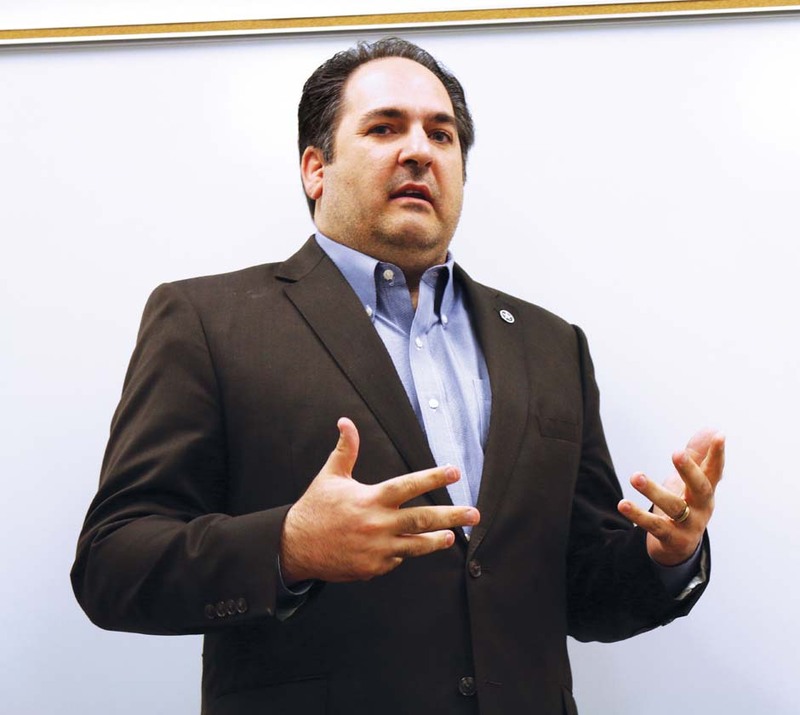 That was one message state Sen. Kyle Loveless delivered March 3 to a group of journalism students on campus. That day it was announced at the Capitol that the Oklahoma education budget would be cut by about 4 percent for the budget year that’s already more than half over, Loveless said. With OCCC already absorbing a total budget cut of about 13.5 percent, students and faculty are bracing themselves for further cuts expected to arrive during the next budget year. Loveless noted that common education, which refers to public schools, has no way of bringing in additional revenue, while higher education has the option of raising tuition as a means of gaining more funding. That probably will happen, he said. Loveless has been influential in Oklahoma’s education system during his four years in the Senate, believing that reforms and changes are needed to solve the funding and education crisis. Loveless has been an advocate of alternative schooling options for students, co-authoring Senate Bill 782 that authorizes charter schools in all districts. While speaking to the class of 20, Loveless spoke of his support for a bill that would introduce Education Savings Accounts to Oklahoma students. “Parents could take their child out of public school and receive a cash voucher that could be used for private school, homeschool, tutors, or whatever option the parents want for the child,” Loveless said. Loveless told the students of his background with his family’s orthopedic and custom footwear business, and how his serious desire for change is what led him to his political career. Loveless believes it shouldn’t be difficult to start and maintain a business, and his desire for change in business regulations motivated him to run for office. Loveless also spoke of his open relationship with the media, and how they have become a way to spread his party’s message to the people. Loveless believes that as a state senator, it is his responsibility to be as open and transparent with his constituents as he can be. With so many of his constituents being students and employees at OCCC, he said he takes every chance he can to speak at the college. His district, State Senate District 45, includes south Oklahoma City, south of 89th Street and north of the Canadian River. It also includes Mustang. For more information, Loveless can be reached at loveless@oksenate.gov.